We’re fresh off the heels of the Grammy’s and Valentine’s Day, yet we all know the cycle continues! What’s next, you say? The Oscar’s and a special brunch event that you cannot miss! 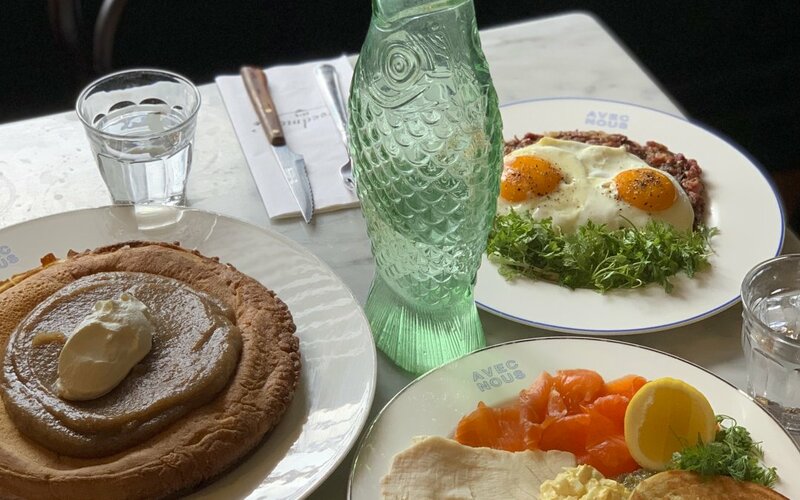 To cap off this year’s awards season, Silver Lake favorite Freedman’s (@freedmans_la) is bringing their award-winning, new-school Jewish comfort food to Beverly Hills. In what could only be considered an extremely limited time event, Freedman’s will be taking over the kitchen at the Viceroy L’Ermitage Beverly Hills restaurant, Avec Nous (@viceroybevhills), for brunch (11:00am – 3:00pm) from Saturday, February 23rd through Monday, February 25th. While it may not seem like enough time, it’s sure to be the buzz of Beverly Hills in the coming days. Reservations are in high demand for the exclusive brunch, and guests can count on a pretty large crowd. Freedman’s, named the #4 restaurant in the country by Bon Appetit last year, will be serving their sought-after bagel towers, complete with an assortment of house-made smoked fish and caviar; along with signature standouts, including a babka sticky bun, corned beef tongue hash, and scrambled eggs with (waffled) potato latke and smoked salmon. Exquisite? Yes. Limited? Most definitely. Viceroy L’Ermitage Beverly Hills has partnered with Assouline, the luxury collectible book publisher, for an exclusive pop-up boutique ideal for all your last minute gift shopping needs. Located in the hotel’s lobby, the limited-time retail shop will offer Assouline’s newest and most in-demand titles — from now until the end of the year! Each thoughtfully handcrafted book is piece of art in itself, and perfect for everyone on your gift list. In addition to offering of lovely gifts, Viceroy L’Ermitage Beverly Hills also hosts a complimentary weekly ‘wine hour’ from 5:30-6:30 pm on Wednesdays for guests of the Assouline boutique. 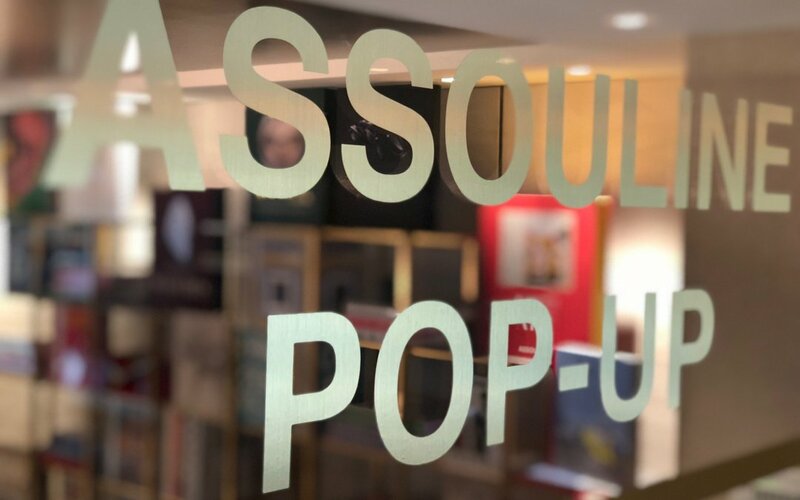 The wine hour is welcome to all hotel guests, visitors, and Beverly Hills locals interested in shopping the Assouline space. What better way to knock out some holiday shopping than while sipping wine? Dessert – White Chocolate panna cotta with dark chocolate financier, strawberry fluid gel, blood orange cremeux, pistachio dust, candied blood orange, strawberry powder. Dinner Hours: 5 – 11 p.m.
Dinner Hours: 5 – 9 p.m.
Ease the stress of holiday travel with these expert tips for trip planning, booking and saving money on train travel. LOS ANGELES – Holiday travel can be stressful whether you are going home to visit family or taking a vacation with your loved ones. The holiday season is the busiest time for travel, and for those opting to travel by train, there are many ways to ease holiday travel stress and enjoy the journey to your destination. 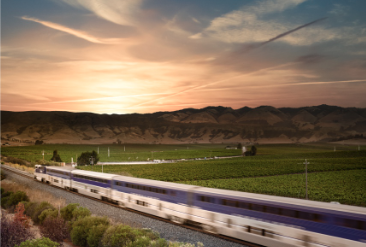 The Amtrak Pacific Surfliner carries 3 million passengers a year to top destinations from San Diego to San Luis Obispo. Journey along the coast to enjoy breathtaking views, onboard amenities, and conveniently located stations while spending quality time with friends and family traveling to festive destinations. If you are planning a trip that involves taking the train from Wednesday, Nov. 21 through Sunday, Nov. 25, book your tickets as soon as possible as the Pacific Surfliner will be reservation-only during the Thanksgiving holiday weekend. While extra rail cars will be added to handle the surge in travelers, tickets sell out quickly. To check availability or book tickets, visit pacificsurfliner.com/holiday. Also keep in mind that Fridays and Sundays are typically the busiest travel days on the Pacific Surfliner, especially on the 700-series trains between Los Angeles and San Diego. Consider choosing one of the 500-series trains instead, which are typically less busy, or if your travel plans allow, ride midweek or midday when it’s less crowded. With an Unreserved Coach ticket, you can choose to take an earlier or later train at no charge if your plans change. Pro Tip: If you are traveling between stations with luggage service, you can check your bags (the first two are free) instead of carrying them with you. Passengers are also allowed 2 free carry-on bags, up to 50 lbs and 28” x 22” x 14” each. To learn about bringing other items onboardincluding music instruments, baby items and more, visit amtrak.com/special-items. California Everyday Discounts offer year-round savings on Pacific Surfliner travel for children, students, seniors, and riders with disabilities. Save 15% or more on Pacific Surfliner trips when you book with a promotion code. Visit PacificSurfliner.com/discounts for more details.Pro Tip: Check the website for more offers and trip ideas, including upcoming events, special service and deals: PacificSurfliner.com/promotions. One of the best ways to enhance your travel experience is by upgrading to Business Class. You’ll have a guaranteed seat and extra space to stretch out, plus you’ll receive a complimentary snack and drink, and bonus Amtrak Guest Rewards points. Business Class tickets provide a seat on a specific train, so if you need to change your plans, call 1-800-USA-RAIL or go online to modify your reservation in advance. Pro Tip: The number of Business Class seats on each train is limited, so it’s best to book early before they sell out. Craving a delicious treat? 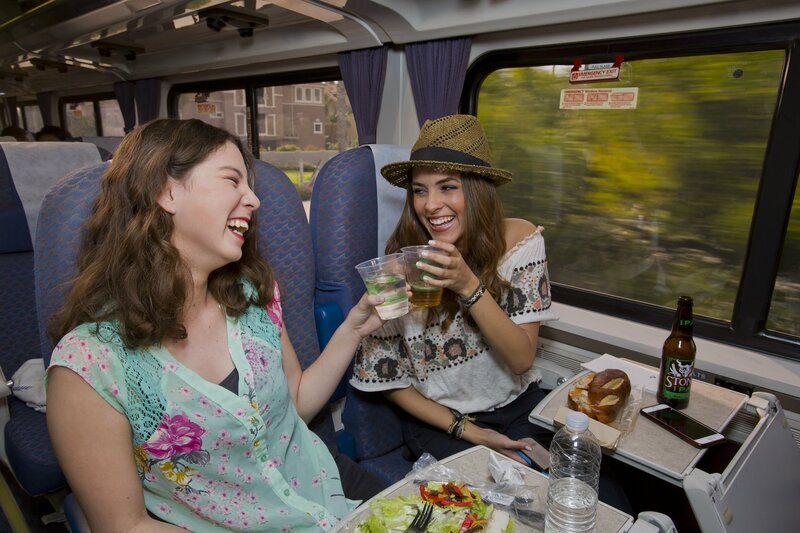 The onboard Café car offers a variety of carry-out style foods including sandwiches, salads, pizza, snacks and beverages, locally sourced from along the Pacific Surfliner route. Pro Tip: Riders ages 21 and up can also enjoy local craft beers, California wines, and mixed drinks, including Bloody Mary’s, mimosas and more. Much of the Pacific Surfliner route hugs the coast, with views of beautiful beaches and rugged bluffs between Solana Beach and San Clemente on the south-end, and between Ventura and Surf-Lompoc on the north-end. Try to get a spot on the west-side of the train to have the best opportunities for photos, time-lapse videos and general sightseeing. Pro Tip: The train switches directions after stopping in Los Angeles. If you are facing forward on the left side when you arrive at this station, you will find yourself traveling backwards on the right side once the train continues its journey! Keep this in mind if you are traveling through Los Angeles and are trying to get an ocean seat. Follow Pacific Surfliner (@PacSurfliners) on Twitter to stay up to date on the latest train updates before and during your trip. Browse social media and your favorite websites thanks to free Wi-Fi, and keep your devices charged by plugging into the power outlets – there is one located at every window seat. Pro Tip: While the trains feature free basic Wi-Fi for general web browsing activities, the Wi-Fi does not support high-bandwidth actions such as streaming music or video. Instead, download your favorite Netflix show before-hand and binge watch on the train without Wi-Fi! Ride the Pacific Surfliner to countless holiday events and attractions this season including parades, light displays, and waterfront fireworks. Enjoy a train ride along the coast while spending quality time with friends and family as you travel to these festive events. Pro Tip: Many stations are central to great restaurants, shops and attractions. And you can also use your train ticket to connect to bus and transit services at most stations for free or at a discount. This makes it possible to go more places without needing a car. For train schedules, special offers and more, visit pacificsurfliner.com. To stay up to date on the latest announcements, breaking news, and information for Amtrak Pacific Surfliner visit news.pacificsurfliner.com/. Los Angeles, Ventura, Santa Barbara and San Luis Obispo counties, serving 27 stations. It is the busiest state-supported intercity passenger rail route in the United States with 24 daily trains and annual ridership of nearly 3 million. 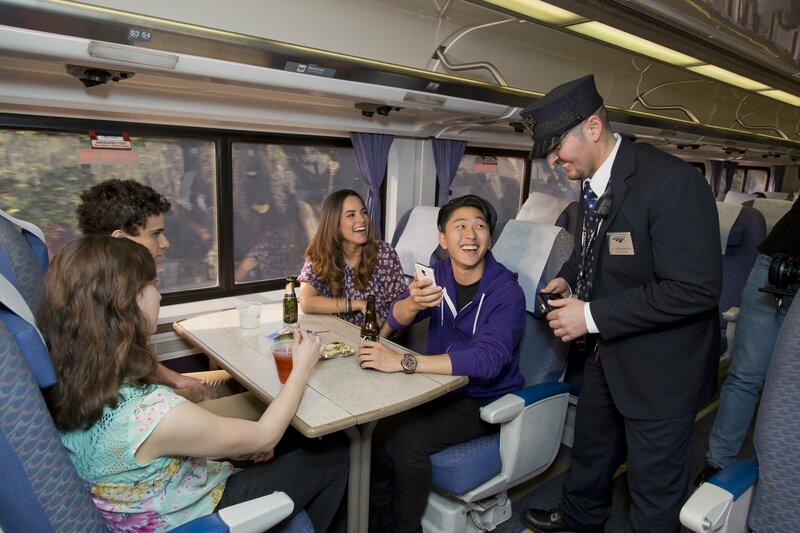 To learn more and plan a trip, visit PacificSurfliner.com, like Pacific Surfliner on Facebook, or @pacsurfliners on Twitter. 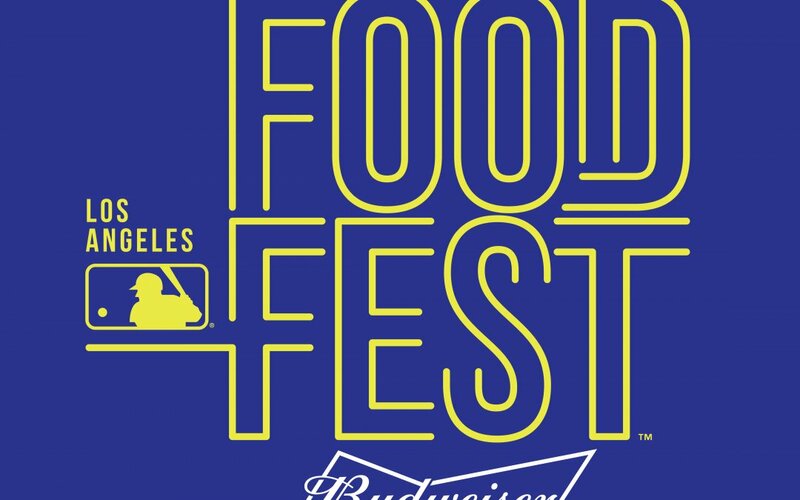 What could be one of the most coveted events in the culinary world is headed to Los Angeles for the first time! Widely known for their elevated restaurants with stunning atmospheres and cuisine, the food group known as sbe will launch their spectacular Taste of sbe 2018 event in L.A. on October 20th and 21st. 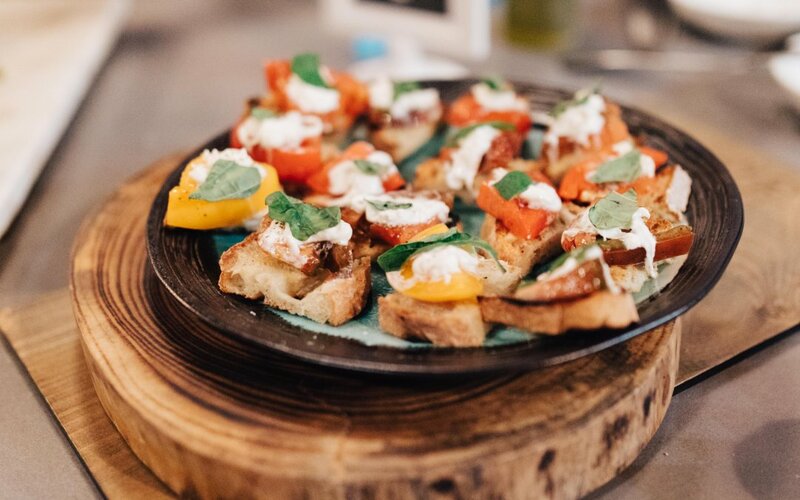 sbe’s award winning celebrity chefs from across the globe will join forces in Los Angeles, Miami, and The Bahamas for three epic weekends of culinary celebrations in partnership with Rolling Stone Magazine. Buckle up for all the details on how you can join in on the fun, and what you can look forward to when you attend! sbe will kick off their exclusive event by bringing a star-studded chef line-up to Los Angeles, Miami, and The Bahamas for three weekends of world-class collaborations from numerous chefs. Who exactly can attendees expect to be present? Chefs Danny Elmaleh, Martin Heierling, James Beard Award Winner, Michael Schwartz; Katsuya Uechi, Jose Icardi, Makoto Okuwa, and Dario Cecchini will join forces to present unique and custom tastings, extravagant cuisine, interactive demonstrations and the finest spirit and cuisine pairings. As can be expected, sbe is going all out this year, and the exceptional culinary experience will be elevated further with extravagant parties, celebrity DJs, and late-night celebrations with music tailored by Allison Hegendorf. Guests have numerous options of accommodations to book with in each destination city, under the “Taste of sbe” room package at: Mondrian, in Los Angeles; SLS South Beach, Mondrian South Beach, Delano South Beach, Shore Club, SLS Brickell, Hyde Midtown or SLS LUX Brickell, in Miami; or SLS Baha Mar, in the Bahamas. 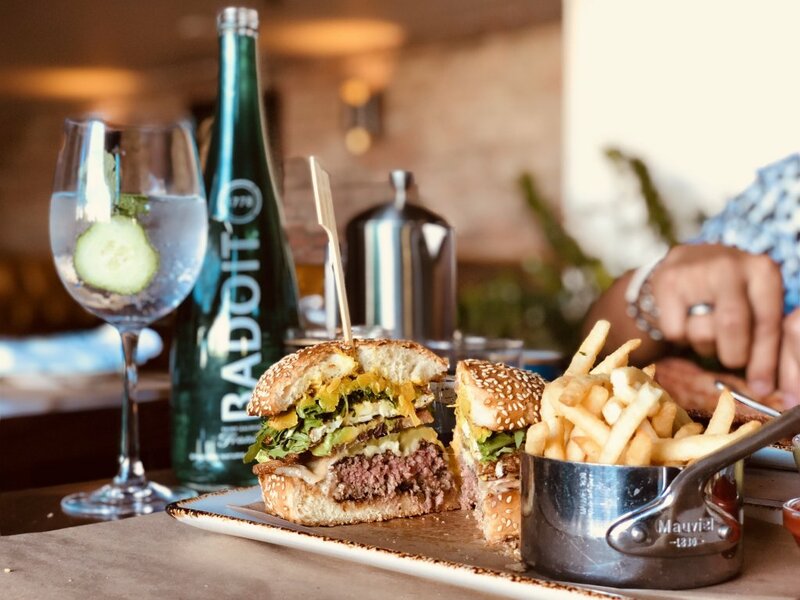 Each of these accommodations include complimentary bites and sips at all participating sbe restaurant and lounges in their respective regions. In addition to all of the exciting activity throughout the three-weekend event, a percentage of proceeds from all ticket sales will benefit the local Make-A-Wish Chapters. Not only to attendees get to feel like they’re on a mini-vacation, but sbe will also grant the wish of a vacation to a child and his or her family to The Bahamas for a two-night experience at SLS Baha Mar. The first Grand Weekend takes place in Los Angeles, October 20-21, and will kick off with (drumroll…) a Veuve Clicquot Rose and Whispering Angel Brunch at Cleo Third Street! The party is just getting started as a weekend of activities and events await. 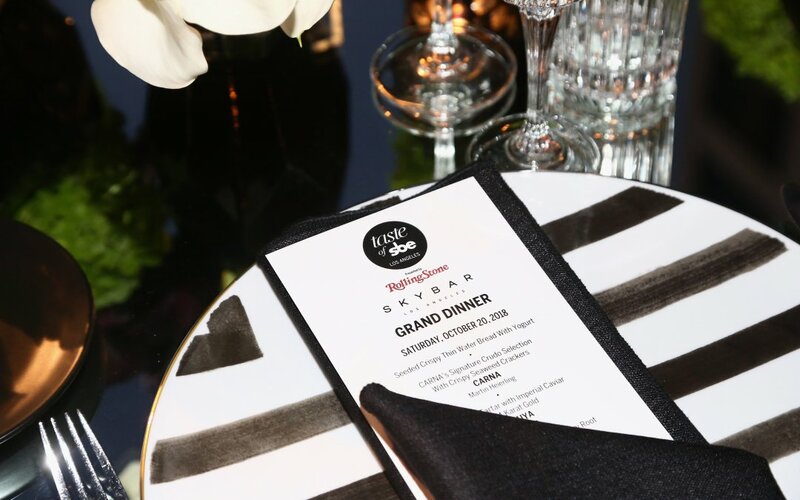 Those events include private shopping experiences on Rodeo Drive, cooking classes, a Grand Dinner at Skybar at Mondrian Los Angeles, a Farewell Brunch at Doheny Room, and more! Established in 2002 by Founder and CEO Sam Nazarian, sbe is a privately-held, leading lifestyle hospitality company that develops, manages and operates award-winning hotels, residences, restaurants and nightclubs. Through exclusive partnerships with cultural visionaries, sbe is devoted to creating extraordinary experiences throughout its proprietary brands with a commitment to authenticity, sophistication, mastery and innovation. Following the acquisition of Morgans Hotel Group, the pioneer of boutique lifestyle hotels, in partnership with The Yucaipa Companies and Cain International (formerly Cain Hoy),sbe has an unparalleled global portfolio which will see 25 hotels and over 170 global world-renowned culinary, nightlife and entertainment venues by the end of 2018. The company is uniquely positioned to offer a complete lifestyle experience – from nightlife, food & beverage and entertainment to hotels and residences, and through its innovative customer loyalty and rewards program, The Code, as well as its award-winning international real estate development subsidiary, Dakota Development – all of which solidify sbe as the preeminent leader across hospitality. The company’s established and upcoming hotel brands include SLSHotel & Residences, Delano, Mondrian, The Redbury, Hyde Hotel & Residences, and The Originals. In addition, sbe has the following internationally acclaimed restaurants and lounges under subsidiary DisruptiveRestaurant Group: Katsuya by Chef Katsuya Uechi, Umami Burger, Cleo by Chef Danny Elmaleh, Fi’lia byMichael Schwartz, Leynia and Diez & Seis by Chef José Icardi, Hyde Lounge, S Bar, Doheny Room Skybar, Bond, and Privilege. To learn more, watch sbe’s #thisisbeyond video and visit sbe.com.